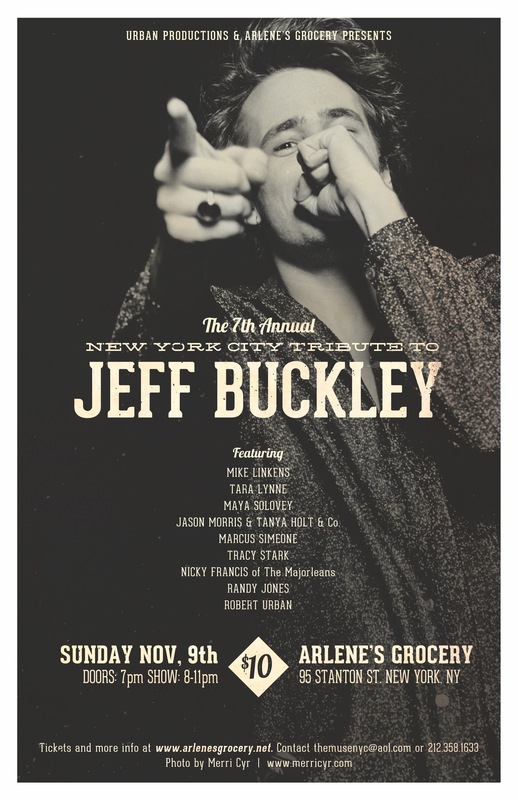 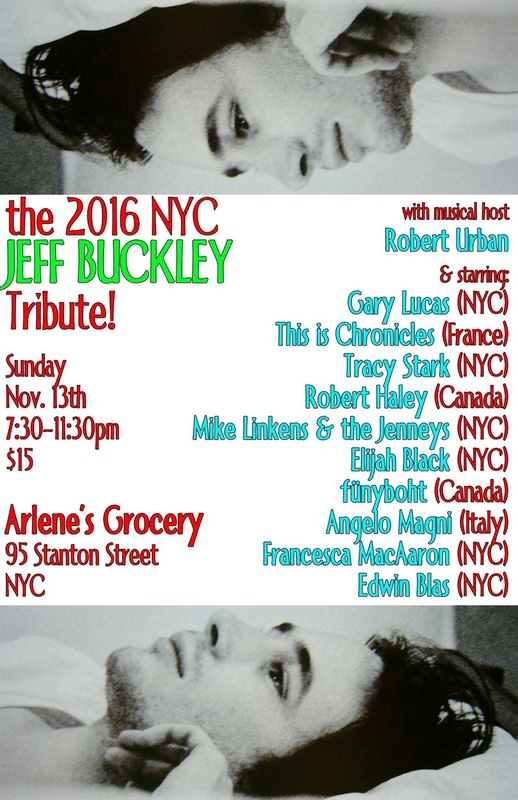 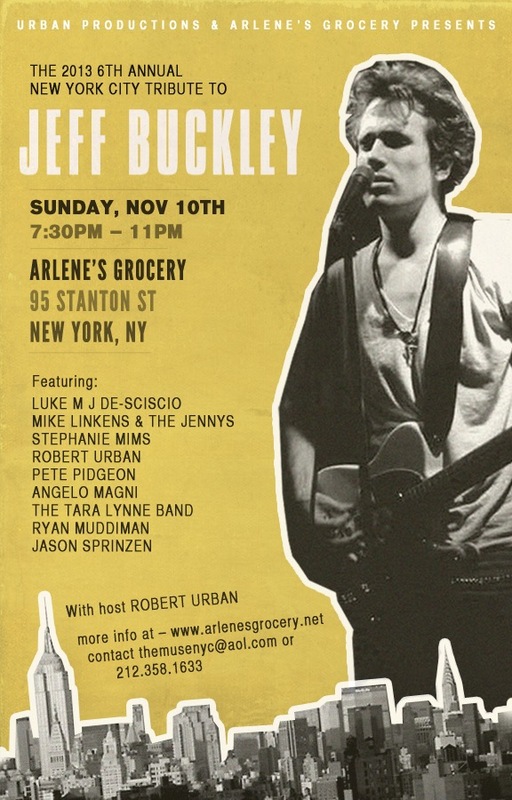 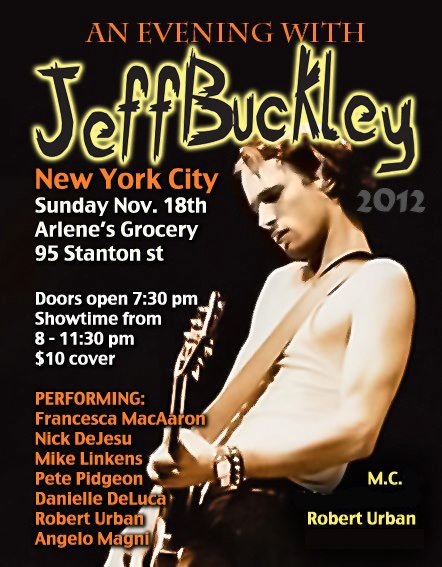 THE ANNUAL NYC JEFF BUCKLEY TRIBUTE: Produced & Hosted by Robert Urban of URBAN PRODUCTIONS. 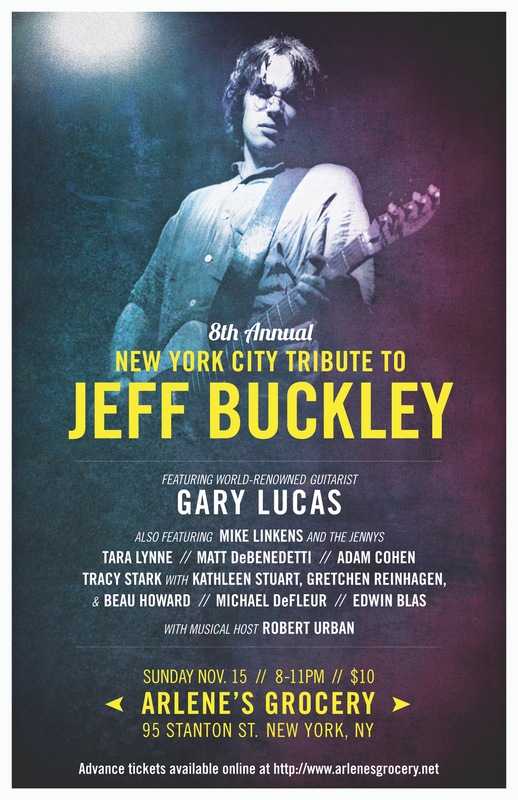 Fans, media & star musical talent from around the world will converge in JEFF BUCKLEY’s beloved New York City – in the very club where he performed – to celebrate his life & musical legacy! 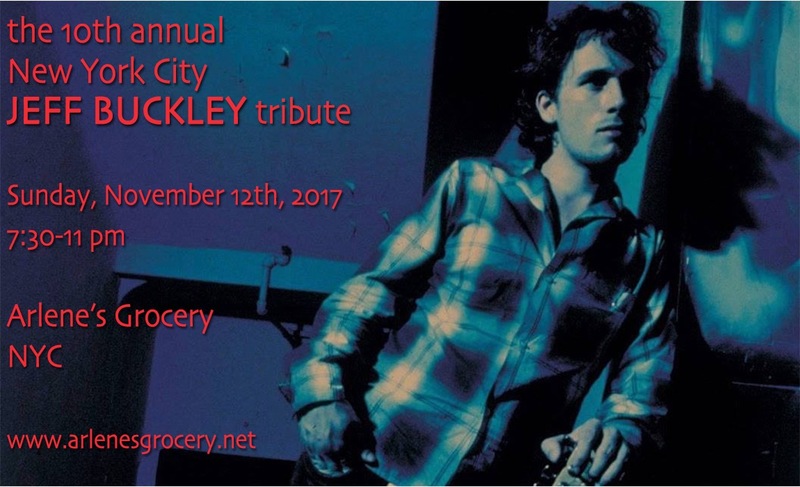 Upcoming 2017 NYC 10th Annual JEFF BUCKLEY TRIBUTE!